Have You Done A Recent Checkup on Your IRA? One of the most popular ways to save for retirement is an individual retirement account, but far too many people establish one and then put their IRA on auto-pilot. This could be a big mistake that your loved ones would have to deal with after you pass away. Funding your IRA every year and making adjustments every so often is not enough to prepare for retirement. It’s a good idea to take a careful look at how your IRAs are structured and whether or not they are still helping you to accomplish your financial goals. Furthermore, you should make use of a frequently updated beneficiary designation form if there have been changes in your life that mean the current beneficiaries of the account are no longer applicable. Beneficiary designation problems are especially true when the beneficiary has a trust. It might seem like a logical thing to do to name a revocable trust as the beneficiary for a 401(k) plan or for an IRA, but this is extremely complicated. All too often, such a designation, when done without the support of an experienced financial professional and estate planning attorney, will fail to accomplish the intended purpose and could actually leave beneficiaries to be the ones who suffer when that loved one passes away. 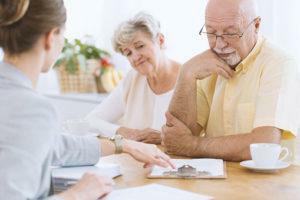 It is also a good idea to evaluate your IRA on an annual basis to see whether any investments that could be considered prohibited could have occurred.